Marketing, Talent, or Timing: What’s to Blame? Your event is coming up, but ticket sales aren’t going according to plan. How do you know if it’s due to a lack of marketing, bad timing, or the wrong talent? That’s the million dollar question for marketers and event organizers alike. While there’s no one-size-fits-all formula to determine the root cause, there are ways for you to understand your event performance as well as set yourself up for success regardless of timing or talent. This is an ongoing task for your venue, regardless of an event you’re putting on. Showing consistent positive experiences is going to allow you to have more creative reign to experiment with your events. When you’re consistent, people have a level of confidence that your venue is the place to be. It’s the place to have a good time, to see great music or talent, and it’s worth the risk of coming out to a new artist. When you don’t have that historic level of great experiences, then you have to make sure the talent you’re bringing in is worth people’s time and money. Make sure you’re providing great experiences every night of the week you’re open — from online to in person. That’ll set you up for success more than anything else. After all, people value experiences more than anything else. As always, you need to know your audience and what type of people you’re trying to attract. Typically with events, your results are going to depend more on the artist or talent than anything else. This means you need to understand what your primary audience wants in an artist, who it is they are most likely willing to pay to hear, and how much they’re willing to pay to attend. The more you know about your audience, the more likely you are to get your event right. As with experiences, you should be collecting information on your guest every night of the week you’re open so you truly understand your target demographic. This will help you for an event as well as your everyday business. Marketing is the one aspect of events that you can control, and it should also be seen as an investment rather than an expense. The best thing you can do for yourself is be able to look back and know that you did all you could to make your event a success through marketing, and to understand which marketing efforts did and didn’t work. The best marketing efforts have both an online and offline presence, and a clear stagey with goals in place. Your venue should be a walking billboard for your event. You should have a clear sign outside your venue so people know where to go. You should also update your social media profiles. to be centered around this event. Have a yielding strategy in place starting with early bird prices and growing so the price of tickets increase as demand increases. 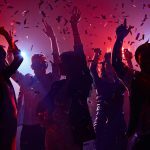 Your goal is to get people in your venue — if you have bad door sales, then you can assume you’ll also have a bad bar night. Not every event is going to be a smashing hit. When his happens, know who your influencers are and provide them a number of comps to hand out. 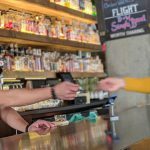 While this may hurt ticket sales, it won’t hurt bar sales and it will still help to bolster your experience for future nights. The only way to know how your event or venue is performing is to track your metrics. 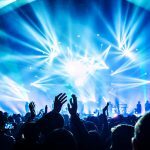 There are systems built specifically for the nightlife industry that handles event management, tickets, reservations, and general admission while being backed by easy-to-understand data and analytics. And when everything is in the same system, you’re able to compare past results to see how your current event is trending. You can also set up tracking links for all your marketing efforts to know what brought in your traffic — both to your ticketing site and to your physical event. These results will inform you of what you should and shouldn’t be spending your tied money on. And when you can compare results to a previous event, you’ll get insight into whether it was bad timing, the wrong artist, or a lack of marketing efforts that caused your event to not do well. That’s the true power of data. When you have absolute clarity around your efforts, you can do even more to increase your success. Without data, you’re simply just guessing. Get started with Vēmos today so you have the tools you need to host profitable events.